Note: All M-4 grates are 16" wide. All M-5 grates are 21" wide. All M-6 grates are 26" wide. All M-7 grates are 31" wide. These grates work well in average sized fireplaces. 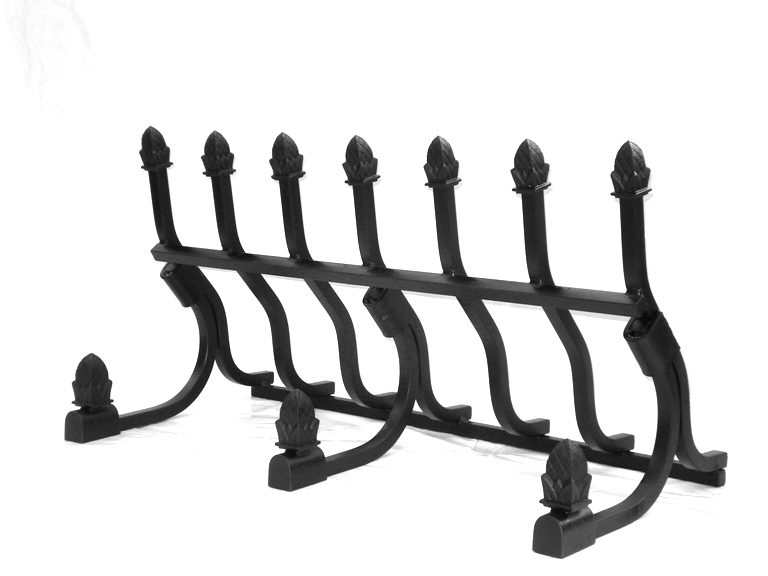 You can mix and match ornaments or add ball bases by purchasing a standard grate and choosing the individual ornaments desired from our add-on ornaments page.